91% of the ingredients are made from water Cure is a simple horny care product that gently catches and removes unnecessary old horn quality on the skin surface based on activated hydrogen water that prevents oxidation. Of course, fragrance-free, color-free, no preservative. Just painting on your skin and massaging yourself gently, the gel reacts with the old horny matter and removes the polo polo and extra corneum. Peel gently without scratching your skin, promote turnover, lead to transparent skin without dullness. The habit of removing old keratin that can not be removed by just washing the face every day gently supports the natural reincarnation of the skin. Please regain confidence on bare skin with horny care. 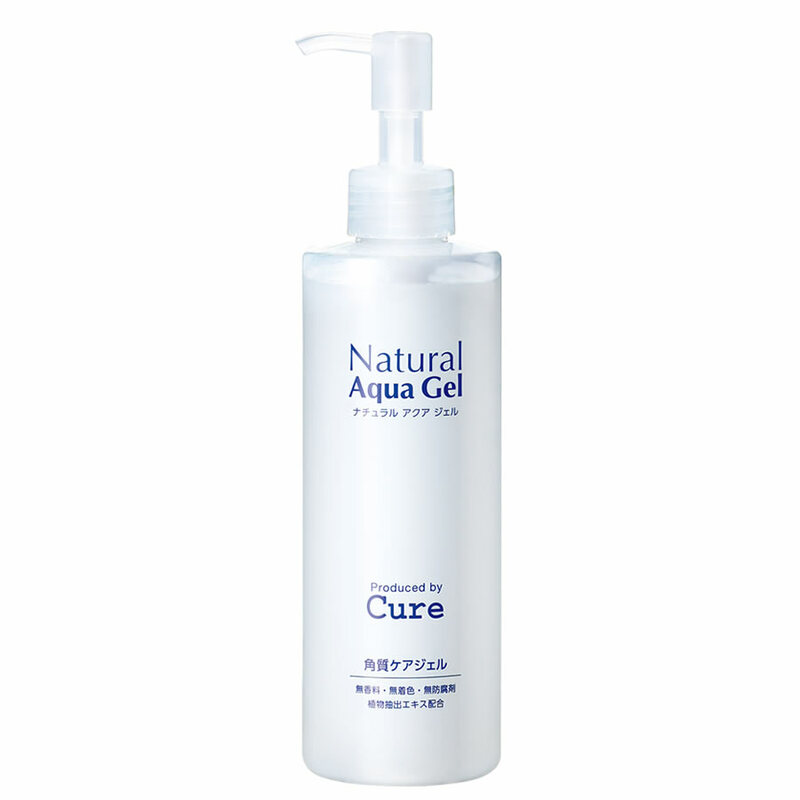 Natural Aqua Gel Cure can be used not only for the face but also for the whole body. After cleansing, please wipe off moisture well. Take 1 push of this product with your fingertips, and let it fit in the area you care about. Make a massage from Kurukuru and 1 minute from 30 seconds without turning on the force as the gel turns into a liquid and turns white. Rinse gently with lukewarm water or water as it becomes porosol. Please keep it moisturized with make-up water or milky lotion after use.